The R who once resided in the Seattle area as a party promoter is now down in South Beach rockin with the Jason Derulo camp. 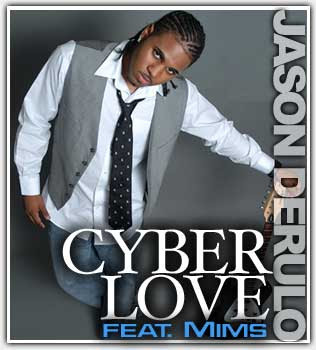 He hit me off with the buzz single called Cyber Love. Microsoft Mims who co-owns American King Music just signed this pop sensation who's penned songs for Cassie, Dannity Kane, Donnie (Making The Band 4), Baby (Cash Money), Lil Wayne, Stat Quo, and Mims. Similar to the route of The Dream and Ne-Yo, a lot of these artists are breaking out and releasing albums of their own while still writing for other acts. If some elements of this track sound familiar, it's cause it was produced by The Blackout Movement who created the soundscape to This Is Why I'm Hot. Click here if you're diggin the track to your Zune.